Every year 18,000 people are diagnosed with cancer in Wales. Maggie’s is a charity that provides free practical and emotional support for people living with cancer and their family and friends. During the week commencing 8th April, they will be opening their second Welsh centre in the grounds of the Velindre Cancer Centre in Cardiff. Maggie’s Cardiff has been designed by award winning Welsh architects Dow Jones. It was developed by Maggie’s, working in partnership with the Velindre Cancer Centre, to enhance the cancer care and support already on offer at the hospital. The Velindre Cancer Centre in Cardiff sees around 5,000 new diagnoses a year, with a further 50,000 new outpatient appointments from people living with or after cancer within the South Wales cancer network. The largest cancer centre in the country, it provides specialist cancer services to over 1.5 million people in Cardiff, Newport and beyond. Maggie’s Cardiff will offer a way of living well with cancer. This includes making sure that people with cancer, as well as their family and friends are offered tailored individual support, group support and practical advice, all delivered by qualified professionals within a space that enables them to meet other people who understand what it means to be living with cancer too. The centre will offer psychological support, nutrition workshops, relaxation and stress management, art therapy, tai chi and yoga. As well as offering benefits and welfare advice. 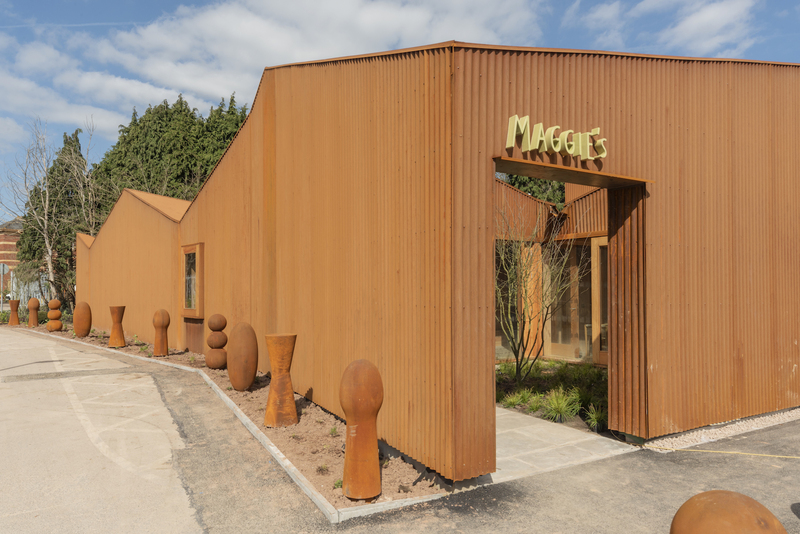 The first Maggie’s Centre opened in Edinburgh in 1996 and Maggie’s Cardiff joins 22 other Centres across the UK and abroad, including Maggie’s Swansea at Singleton Hospital, which opened in 2011. Built in the grounds of NHS hospitals, Maggie’s Centres are warm and welcoming places, with qualified professionals on hand to offer a programme of support that has been shown to improve physical and emotional wellbeing. The Centre will be there for anyone and everyone living with cancer, offering an enhanced and unique evidence-based programme of support delivered in an uplifting, non-clinical environment.